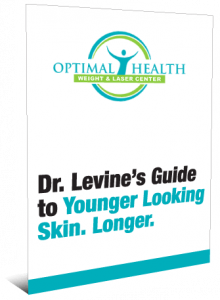 Want Anti-Aging Help? We’ve got your Skin Covered! Laser Genesis is a painless skin treatment that reduces fine lines, wrinkles and improves skin texture without any downtime. Want to Say Goodbye to Sun Damage and Brown Spots? Intense Pulsed Light (“IPL”) is a very effective therapy for removing the red and brown spots caused by sun or age. 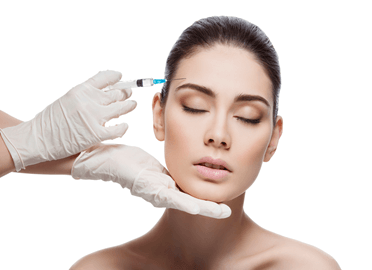 Botox is a popular cosmetic treatment that can be injected into facial muscles to temporarily reduce or eliminate wrinkles and fine lines. 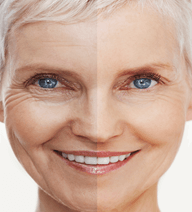 Dermal fillers like Juvéderm® and Voluma® instantly smooth away wrinkles and adds volumn to the face, leading to remarkable and immediate improvements in the appearance of an aging face. 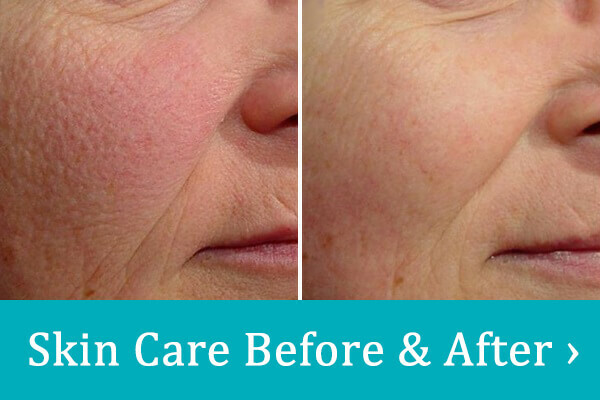 No downtime, no scars; just natural-looking results that can last for 12 months or more! 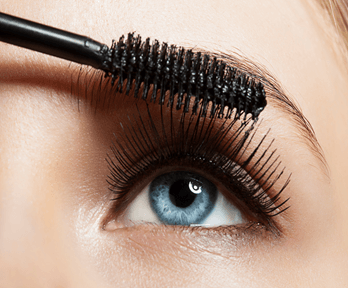 Latisse is the first and only FDA-approved prescription treatment to grow eyelashes, making them longer, thicker, and darker. Want to Ban Acne Breakouts? Laser therapy treats and prevents breakouts by reducing skin oil levels and killing the bacteria that produce acne. It can also clean pores, reduce pore size and diminish any acne scars. IPL treatment can be added during the same visit to reduce any unwanted brown spots caused by the acne. Want to Reduce Rosacea and Remove Redness? 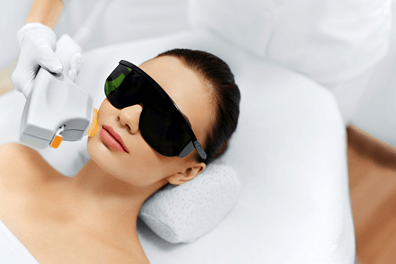 Rosacea Treatments -For those who are tired of hiding their skin whenever their rosacea surfaces, Laser therapy and IPL treatments can minimize common symptoms like redness, visible vessels and flushing while producing long-lasting results. Want to Fade Away your Scars? High-energy Laser Genesis can be used to treat acne scars, keloid scars, chicken pox scars and even thick thyroid scars. Spider Veins/Telengectasias Treatments are easy and effective laser treatments that erase spidery capillaries on the face and body. Want Your Nail Fungus Gone? Laser genesis is a safe. quick and comfortable way to treat nail fungus without drug therapy. Clearance of nail growth can be observed even after 1 twenty-minute laser treatment. Heard of PICO Genesis? If you have brown spots you should! New and Innovative PICO Genesis is a new laser technology that effectively treats pigmentation and age spots and results in brighter, more radiant and uniform skin tone.